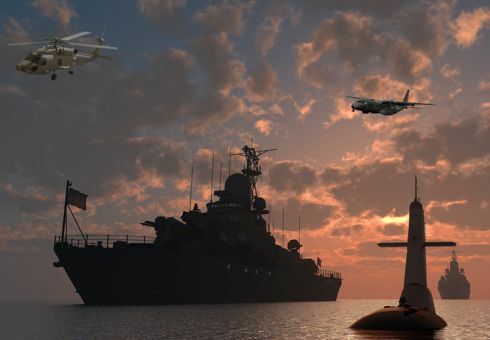 ROASW -ASW solution based on sonobuoys for helicopters and ships. 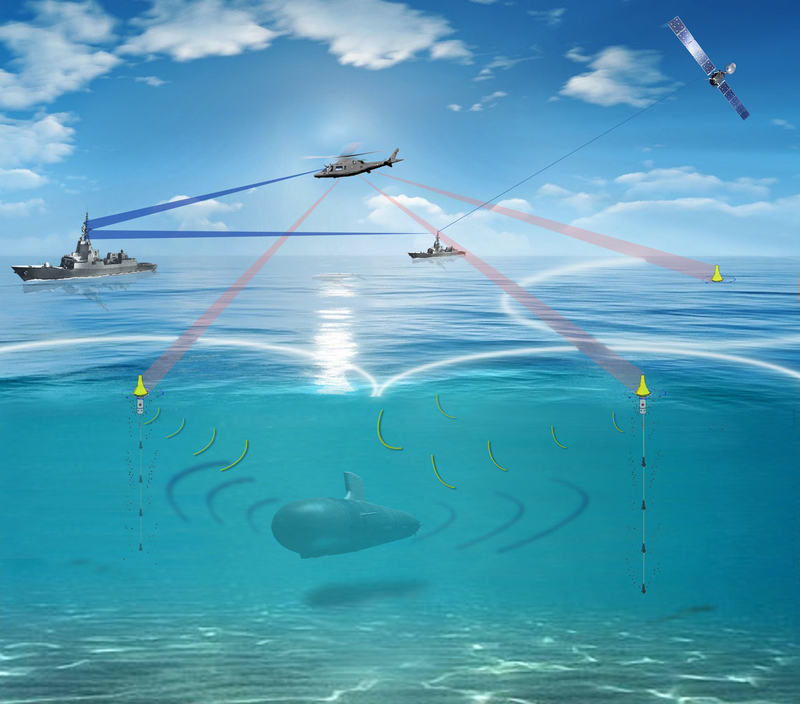 ROASW is a powerful and advanced acoustic processor for detecting, locating and tracking submarine threats from combat ships using sonobuoys. It provides multistatic processing and interoperability between the different ASW platforms: corvettes, frigates, helicopters, MPA aircraft. ROASW permits a wider area of coverage on a typical ASW mission. Control of an ASW mission from the ship with an unmanned helicopter. The system is installed on board the ship (frigate, corvette) and on board the helicopter or ASW aerial platform. The acoustic information from the sonobuoys is sent automatically to the vessel. There is no need for a dedicated operator in the airborne vehicle. As a result, the ASW mission can be operated remotely from the combat vessel. This feature enables the use of smaller helicopters, such as the A-109 in the HKP-15 version of the Royal Swedish Navy. ROASW makes it possible to combine the range and strength of a combat ship with the flexibility, speed and mobility of a manned or unmanned airborne vehicle. In addition, it is the most suitable sonobuoy processor for small vessels and small ASW helicopters. All the ASW platforms deployed see the same tactical information. 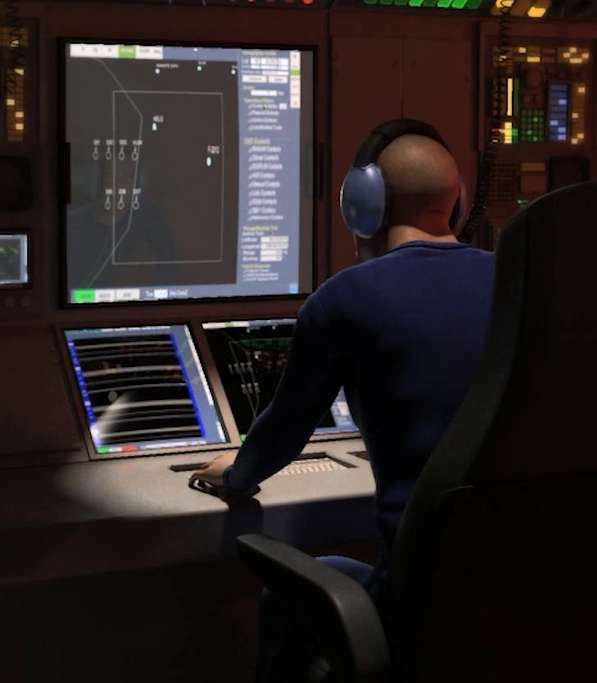 ROASW integrates tactical information from acoustic and non-acoustic sensors such as radar or Electro-Optical sensors into a common operational tactical panel. On the one hand, information from the sonobuoys is shared between ship and helicopter. On the other, the mission’s tactical and intelligence information is shared with all the ASW resources deployed through Line of Sight (LOS) or Satellite (SATCOM) communication. The operator has all the information and displays, analysis and alarms at his disposal that will allow him to detect and follow submarines with maximum efficiency. Furthermore, thanks to this system, the information is shared between all the ASW platforms. The result is more agile and centralized decision-making. Configuration adapted to the mission and ASW platforms. As specialists in underwater acoustics, we have developed a system with high processing capacities. In addition, we can adapt the system to the customer’s precise needs: type of operation, number and types of buoys, system size. Its open and modular architecture, enables us to offer different configurations depending on each specific case and also add new capabilities. ROASW-AS: installed in aerial vehicles. It receives tactical and acoustic information from deployed sensors and relays it via datalink (STANAG 7085) to the combat ship. ROASW-SS: controls and monitors ASW operation from the combat ship. In addition to implementing the ship-to-helicopter (S2H) communication, this segment adds ship-to-ship (S2S) and satellite-to-satellite (S2SAT) communication. These modes of communication allow tactical, acoustic and intelligence information to be exchanged between the platforms deployed. It forms a Common Operational Tactical Chart. Acoustic signal processing of sonobuoys (Analog & Digital SBYs). Control of sonobuoys deployed by UHF commands. On-board recording (according STANAG 4283 Ed.6) of acoustic and tactical data of the deployed sonobuoys. Fast post-mission acoustic signal analysis (FTAS). It provides reproduction in real, fast and slow time speed of the SBYs recorded during the ASW mission. Wide set of tools and aids for mission planning, direction and control during all the mission phases: briefing, mission execution, de-briefing. Ground Support Equipment (GSE) available to load/unload mission data (acoustic and tactical data). Also for maintenance and updating tasks. Communication Surface-To-Helo (S2H): from the ROASW-AS tactical, intelligence and acoustic information is transmitted through a data link (STANAG 7085) towards the ROASW-SS. Communication Surface-To-Surface (S2S): tactical and intelligence information is interchanged between two ROASW-SS platforms. Communication Surface-To-Satellite (S2SAT): tactical and intelligence information is interchanged beyond LOS (Line Of Sight) capability through a satellite network.